The Waffle House customer who tackled a raging gunman who killed four people is being hailed as a hero for wrestling the gun away and bringing the killing spree to an end Sunday morning. 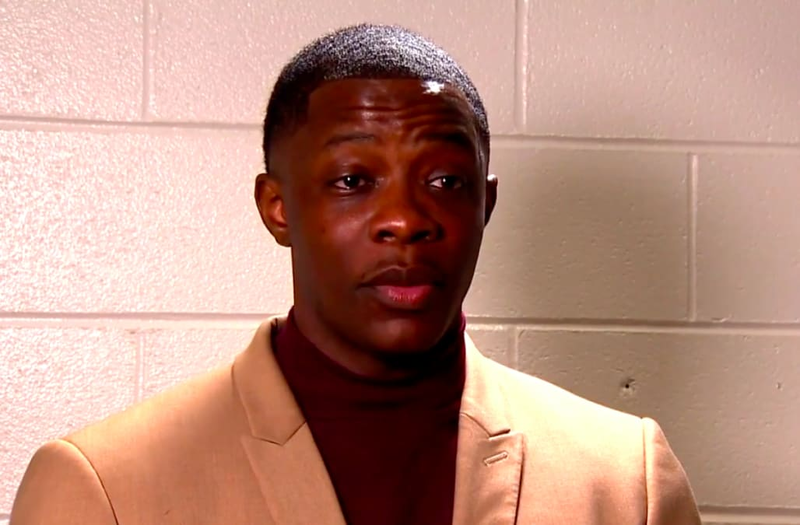 James Shaw Jr. was eating at the Nashville when 29-year-old Travis Reinking, starting shooting customers with an AR-15 outside of the restaurant at about 3:30 am. NY Daily News reports that Shaw said hid near a bathroom and watched Reinking’s moves and when Reinking looked down at his gun to reload he sprang into action. Shaw wrestled the AR-15 away from the madman. Shaw doesn’t believe he was being a hero but has been praised by everyone for saving lives. The injuries Shaw Jr. were treated by paramedics. According to the Tennessean, one asked a question that brought Shaw Jr. to tears while checking his blood pressure. “He asked if I had kids,” Shaw Jr. said. “I thought I could have possibly never seen my daughter again. That hurt.” He is a Nashville native and whose 4-year-old daughter was born while he was a Tennessee State University student. He then studied at Brightwood College to get a degree as an electrician technician. He works at AT&T. A massive manhunt is underway for Reinking. The suspect was reportedly well known to authorities and has a history with mental illness. In 2017, the Secret Service arrested him for being in a secure area near the White House. All of Reinking’s guns were taken from him and given to his father. Authorities now believe Reinking’s father gave him all the guns back. The post Meet hero who disarmed Waffle House shooter “I could have never seen my daughter again” appeared first on theGrio.